Yu-Gi-Oh Card Game ~ Two ways to Play! 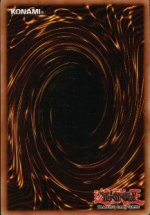 This page is just to explain the story behind the new Forbidden List on http://www.yugioh-card.com. As of October 1, tournament play will be changed. There will be 2 versions of play. It will be up to the host of the tournament play for you to follow. The first way will be the original game play with the regular limited list without the Forbidden Cards. The second way is with the new Forbidden Cards list. So becareful and watch the host's decision because if they are going with the new way of play, you have to remove from your deck and side deck the forbidden Cards.